Pretty little witch holding pumpkin. 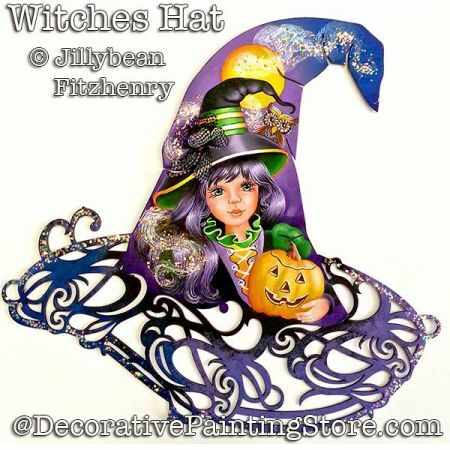 Painted on 10"x11" Omni Board lacy witch hat. Pattern includes photos, instructions, line drawing, and step-by-step illustrations.